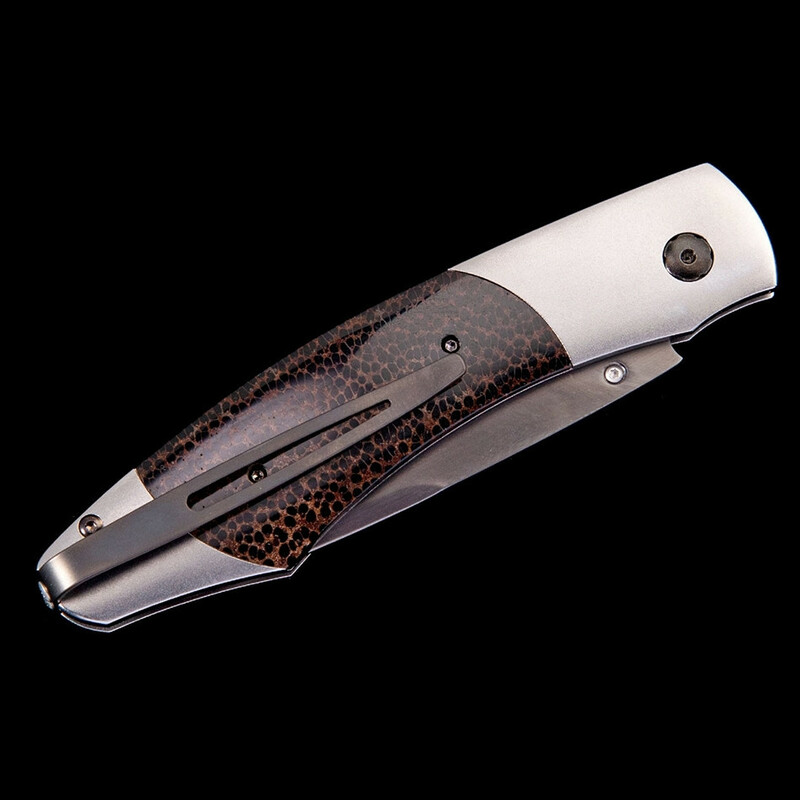 This pocket knife from William Henry's Spearpoint collection is known as the Coal. 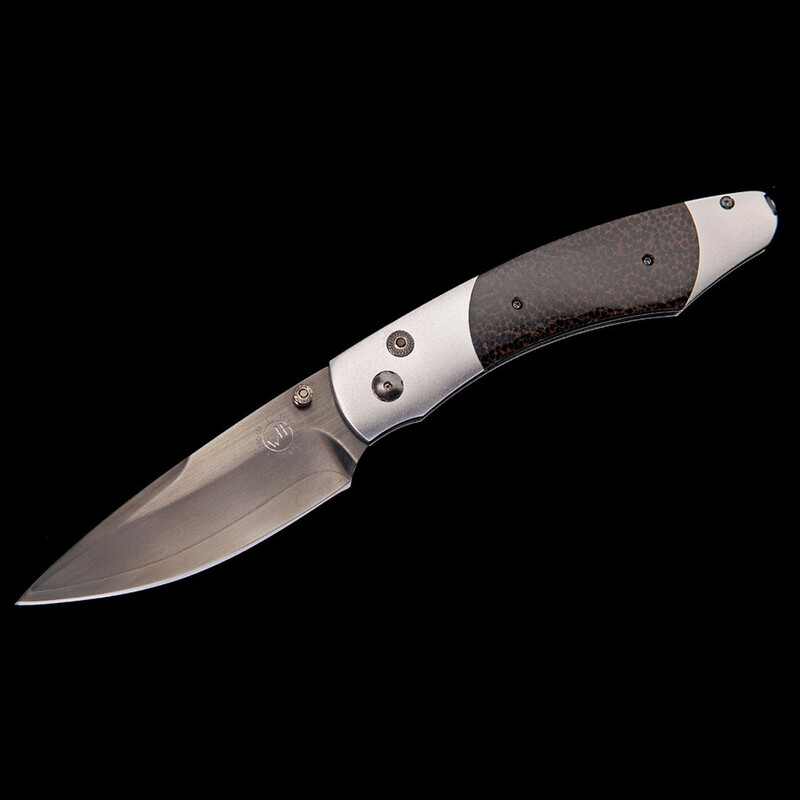 It has a remarkable design with a full-size secure grip and versatile deep-belly blade that's black-coated, extra-strong ZDP-189 steel. Its aerospace-grade titanium frame is inlaid with black palm wood, and spinel gemstones are set in the one-hand button lock and thumb stud. 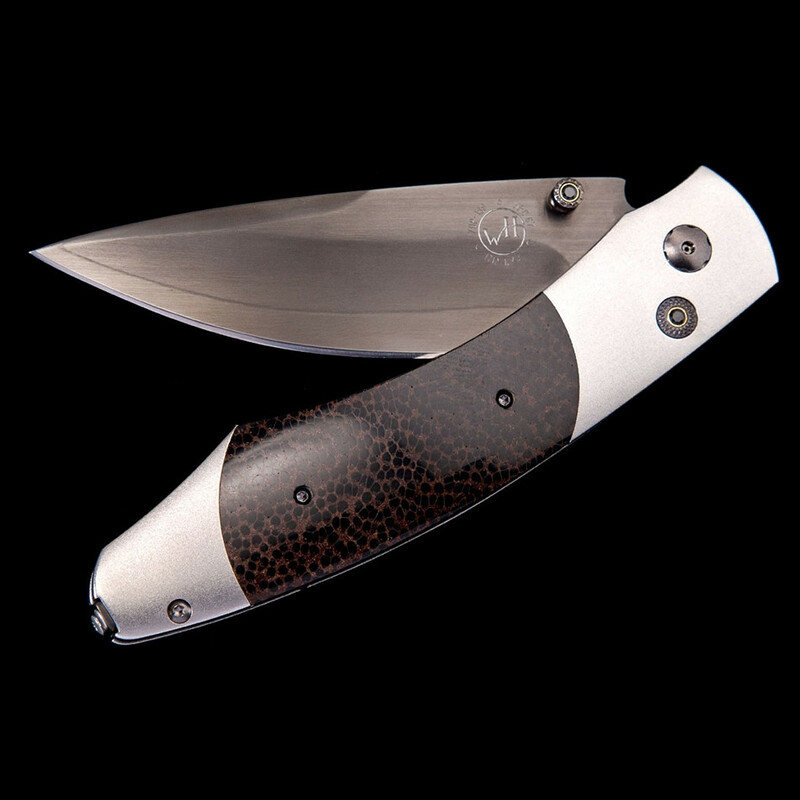 This William Henry knife harbors many of the brand's hallmarks.